If you’re the owner of an Android device, you’d know how most of these smartphones can’t last a full day on a single charge. Even if you happen to have the Samsung Galaxy Note with its gargantuan 2,500 mAh battery you’d be lucky if lasts more than 10 hours. So what is the easiest and cheapest way to go a full day without a charger? A second battery of course! 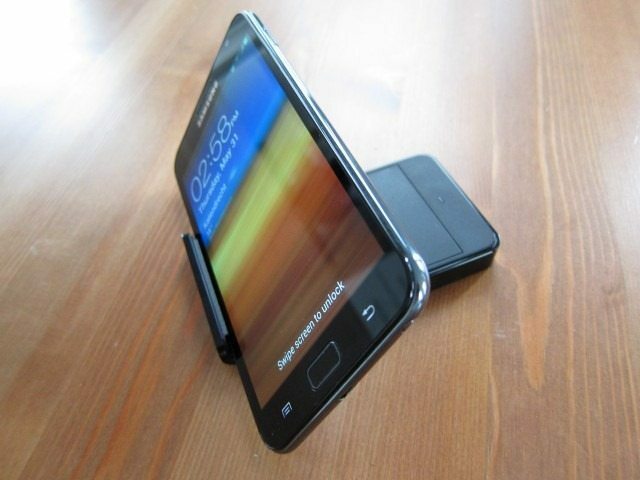 And that’s exactly where our third Galaxy Note accessory review comes in, this time we’re taking a look at the Galaxy Note Holder and Battery Charger. 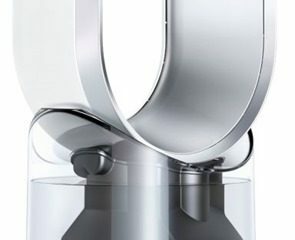 It not only aims to solve the battery problem, but considering it’s also a stand you could say it’s a jack of all trades, but the question is: is it master of none? Is this a better solution than one of those large external batteries? 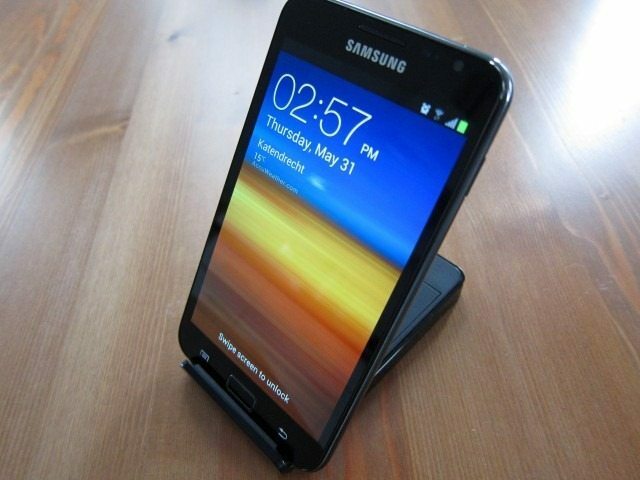 And how does it compare to the Desktop Dock for Galaxy Note we recently reviewed? 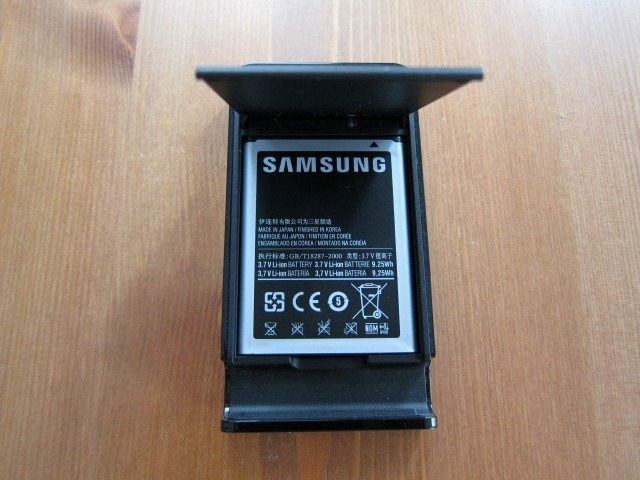 The Samsung Galaxy Note Holder and Battery Charger EBH-1E1SBEGSTD with its really long name leaves no surprises that it’s actually two devices in one: a battery charger and a holder. 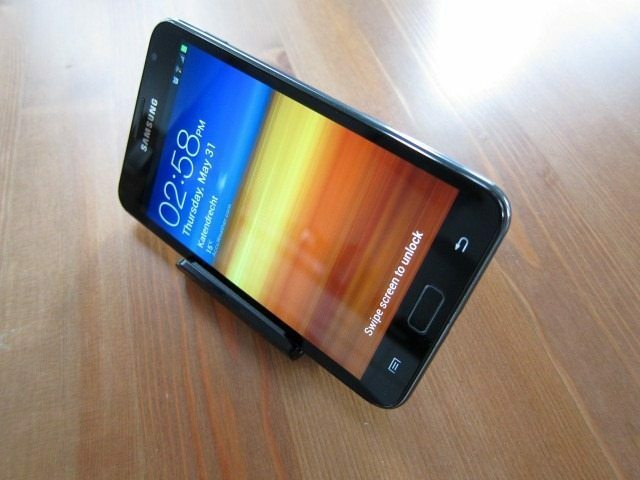 The idea behind it is fairly simple, it holds your Galaxy Note upright while charging a spare battery. 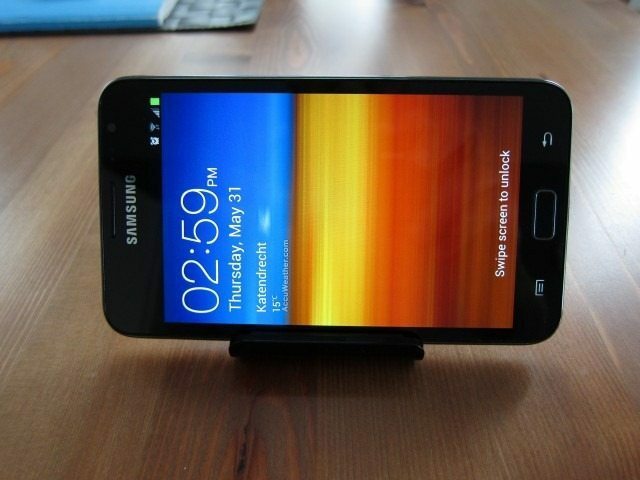 Considering what it does, initially one could say it’s relatively cheap, costing just 25 dollars. I tend to agree that it’s indeed quite cheap, especially since you are getting both a stand and a battery charger at the same time. But there’s a catch. 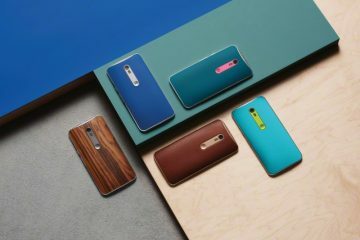 The whole point of getting this accessory is having two batteries, since the idea is that you have a fully charged battery in the Note and charge a second one in the charger. The catch lies in the fact that once you factor in the costs of an extra battery (assuming you don’t already have one), the overall price jumps by about $30 totaling about $55. 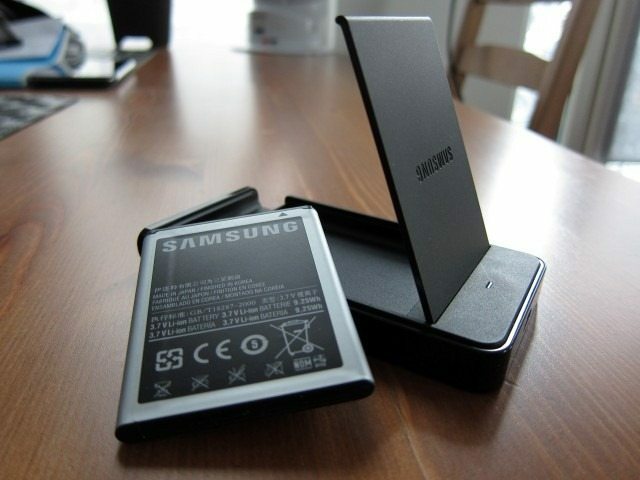 Once the battery is added into the mix, it turns out to be a not-so-cheap product. 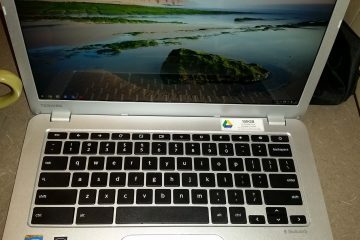 The cost of the battery aside, you do get what you paid for, but just be aware that if you don’t have an extra battery, it makes quite a difference. The EBH-1E1S doesn’t come with a charger or any other accessory for that matter. 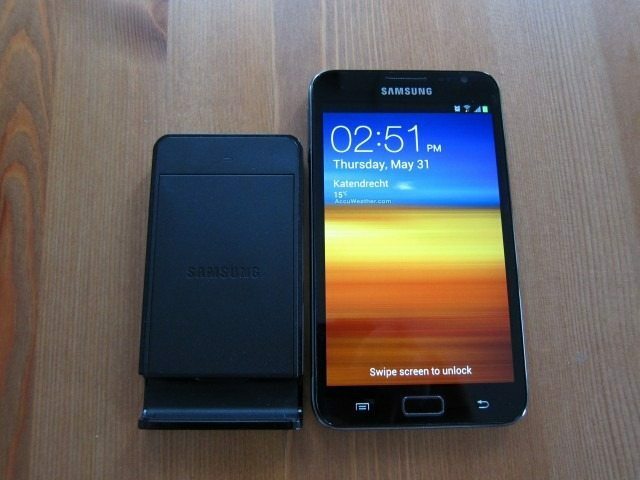 The idea is that you put the spare battery in the battery charger and use the charger that came with your Note. 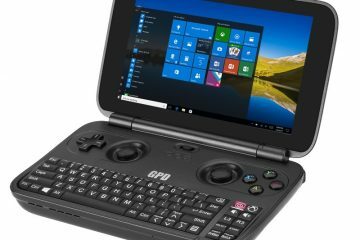 For that price it would be unreasonable in expecting it to include a charger, which separately, costs as much as the EBH-1E1S itself. 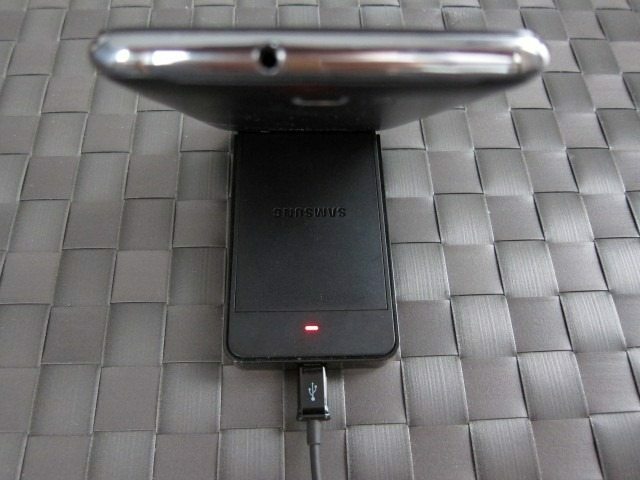 Most Galaxy Note owners do have their chargers, so including one would probably add unnecessary costs. 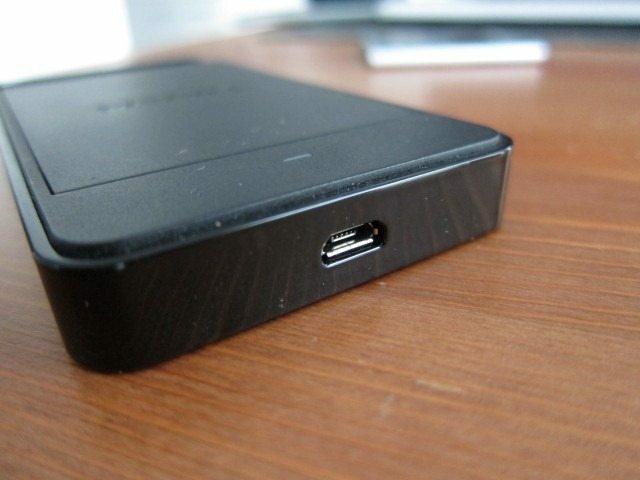 The accessory itself looks like a flat black box that could easily be mistaken for an external battery. 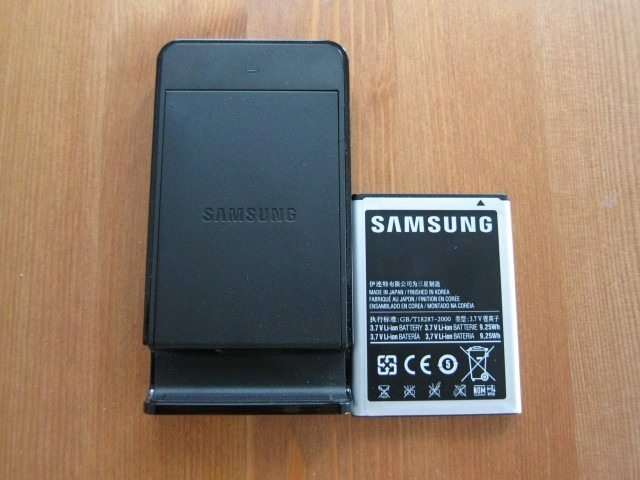 The upper part of the battery charger is made out a matte plastic that doesn’t show fingers prints, while strangely Samsung decided to go for a glossy black plastic on bottom part and sides. 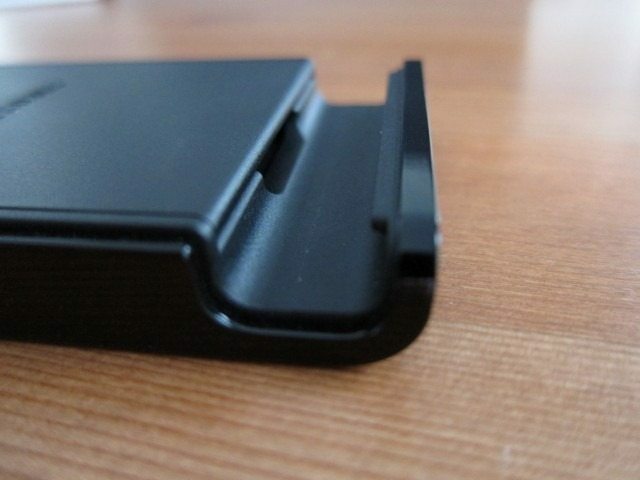 It rests on 4 rubber feet that prevent it from slipping. They seem to work quite effectively. There’s the mandatory Samsung logo on the door that opens up revealing a small compartment where you place your spare battery. With the markings on the battery itself and the gold connectors there’s really no way you could insert the battery the wrong way. 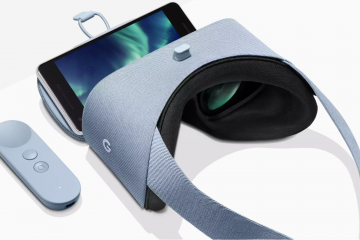 All you do is connect that microUSB cable to the EBH-1E1S and you’re set. On the upper side there’s a multi-color light that turns Red while charging and Green when the battery is full. When you first plug in the charger it quickly flashes from Red, to Green, Orange and then back to Red if the battery is not full. In case it is, it will light go follow the same sequence but eventually shows Green. The EBH-1E1S even incorporates a holder, which works quite effectively in both landscape and in portrait mode. 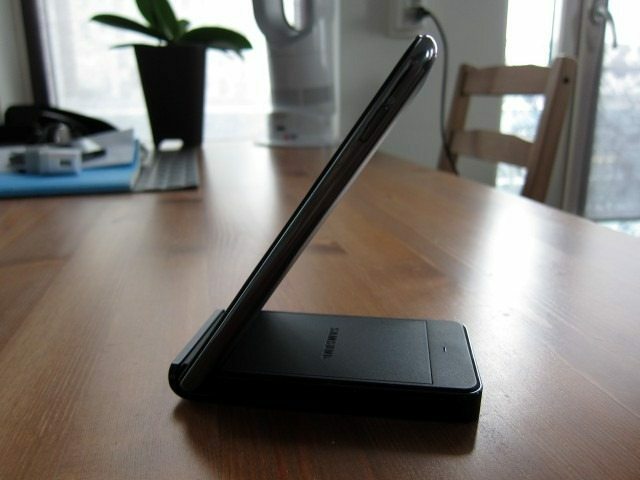 One major plus over the Desktop Dock, is that you can put the Note in the holder with the Flip Cover on. Considering the fact that you can’t sync data to your PC with the Desktop Dock, the only extra it offers is its 3.5mm audio output. But considering that the Note’s own 3.5mm audio jack is just a few centimeters away and the same function can be accomplished (although less elegantly) on the EBH-1E1S , I don’t consider this an advantage. 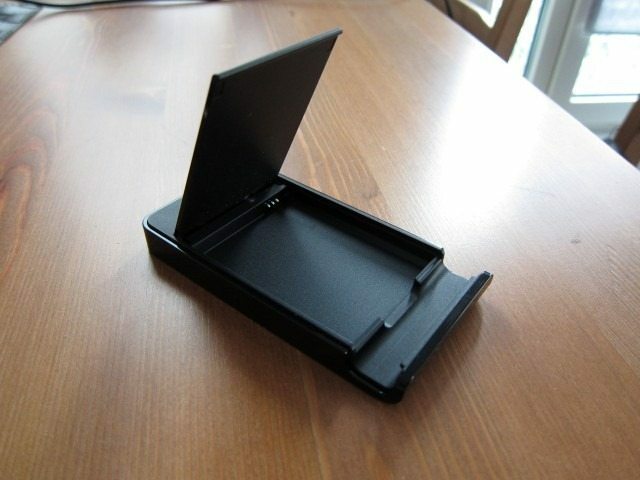 It’s also quite easier to put the Note in the holder. 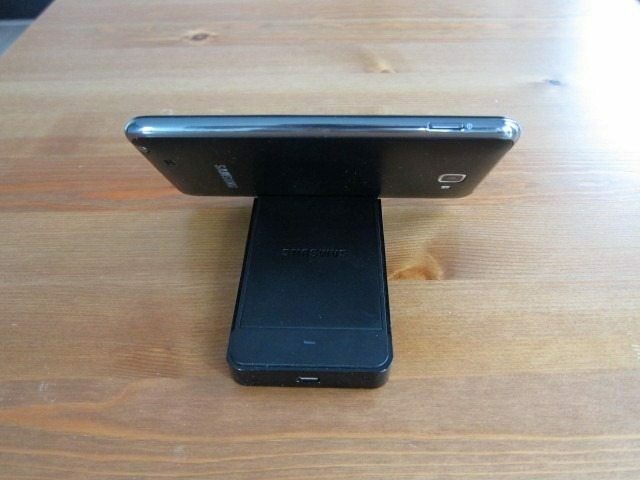 With the Desktop Dock you kind of have to make sure it’s properly aligned. Once you also factor in the $51.99 price of the Desktop Dock, the Holder and Battery Charger can easily be considered a steal with the advantage of always having a spare battery charged up. If you’re looking for a stand that looks the part, I do have to admit the Desktop Dock does look a lot better, it’s simply more substantial and stylish. With all things considered, the Holder and Battery wins hands down and is overall not only cheaper but also the more functional option. Having the EBH-1E1S is extremely handy. 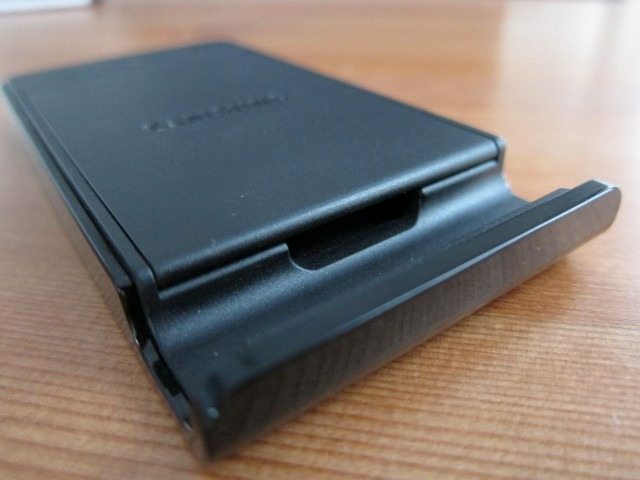 I have the habit of charging my spare battery and leaving it fully charged and stored in the EBH-1E1S. The unit itself is quite compact and isn’t much bigger than a battery. 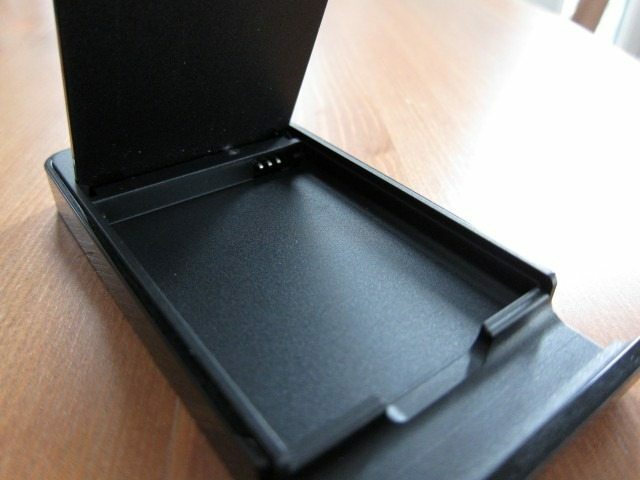 This all translates into the fact that you can easily use it as a battery holder and fits nicely in your pocket. This way there’s basically no need for the usual down time of having your smartphone connected to a charger and unable to be “mobile.” When I need a charge, I simply swap batteries and I’m up and running in just a few seconds. There’s no doubt that external batteries are handy, but they require having your phone attached via the USB cable which isn’t very practical in certain situations. 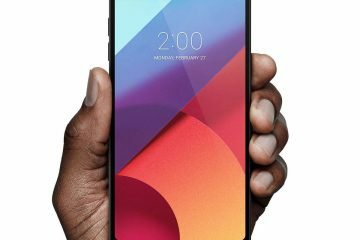 On top of that the charging process itself tends take at least 30 minutes, meaning that your phone will be stuck to the external battery for that particular amount of time. Especially when you’re in a hurry there’s no time to charge or take the cable and external battery with you. With this accessory it’s a matter of swapping batteries and you’re ready to go. I simply love it. Now let’s consider the cost. Cheap 4000 to 5000 mAh batteries cost around 55+ dollars which is within the price range of the EBH-1E1S plus an extra battery. I would still choose the EBH-1E1S since the ability to quickly swap batteries simply can’t be beat. You can also easily buy more batteries as needed, with external batteries you’re stuck with its given capacity. With external batteries I also need remember to take a USB cable with me. The EBH-1E1S on the other hand also functions as battery case and in case you need it can quickly double as an impromptu stand on for video watching on those camping trips. The only case where I would consider an external battery over this accessory, is when we’re talking about those large 10.000+ mAh batteries and you have the need to go days with no wall socket in sight. On the downside, 10.000+ mAh batteries are very large and cost in many cases more than 100 dollars. Basically, the Holder and Battery Charger is a lot more functional and cheaper. Ultra Large external battery packs do hold more than 5 charges, but are a lot more expensive, less functional and significantly larger. The EBH-1E1S is extremely simple to use and extremely handy and is one of those products where it’s actually difficult to find something to complain about. I do wish it could charge the phone itself while it’s charging a spare battery. 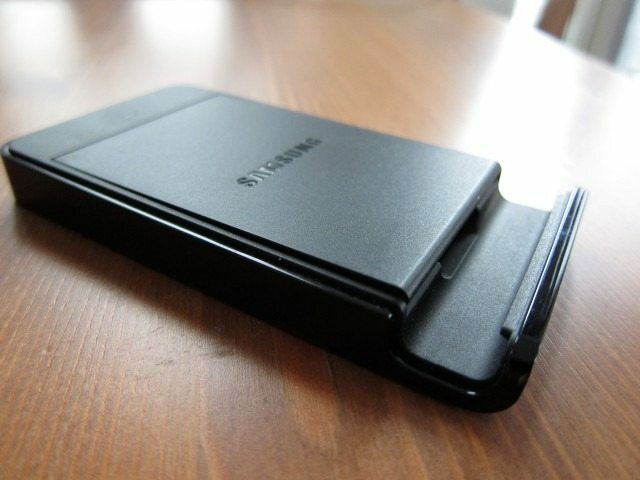 Basically if you have a Galaxy Note, you HAVE to get this. It gets a rare 9.9 out of 10. A special thanks to our friends at Mobilefun. 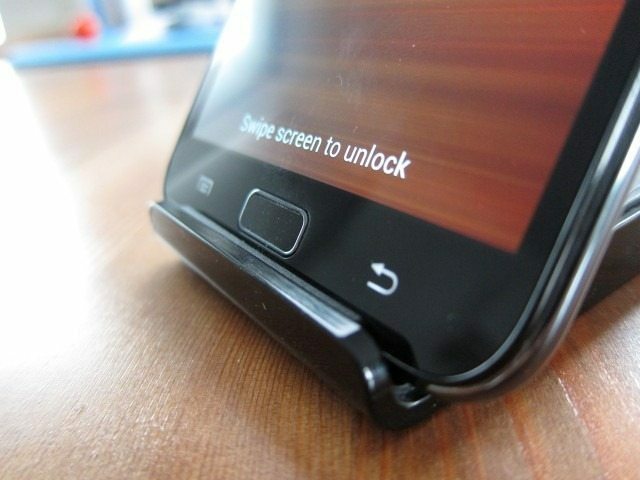 You can find more mobile phone battery and Galaxy Note accessories on their website.